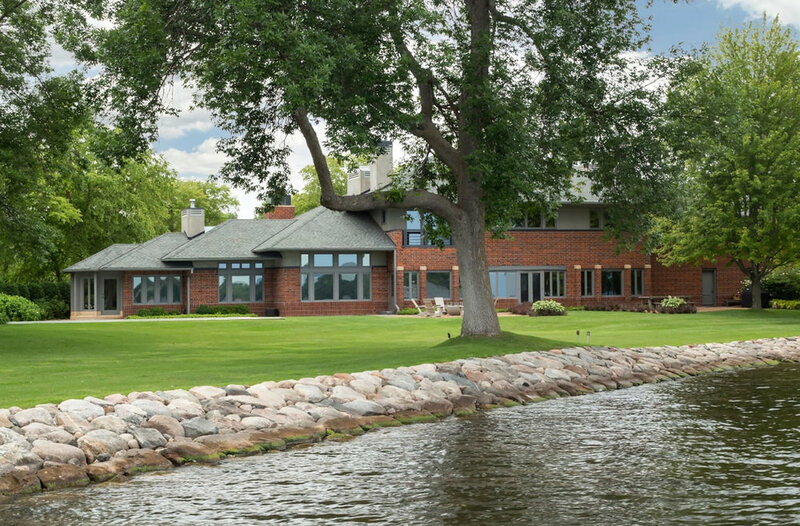 Steeped in history and lovingly restored, Southways (The Pillsbury Estate) is one of the last remaining icons for Lake Minnetonka. In the venerated words of Mrs. Pillsbury, "A house can be elegant without being ostentatious". Sweeping views both west and east across Bracketts Point over Lake Minnetonka speak to its timeless style and grace. Close proximity to Wayzata and downtown Minneapolis. Pre-MLS sale. 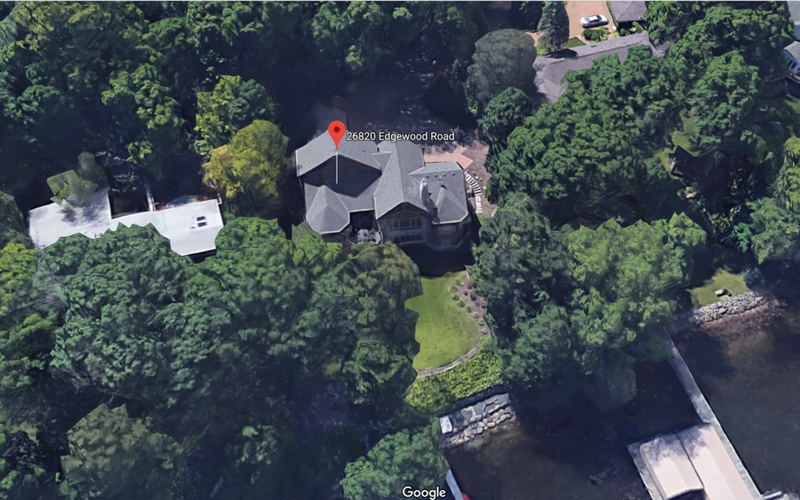 One of Lake Minnetonka's finest sites with 2 acres dry ground and 343 feet west facing shoreline on main lower lake. Lakeside road being relocated to center point. 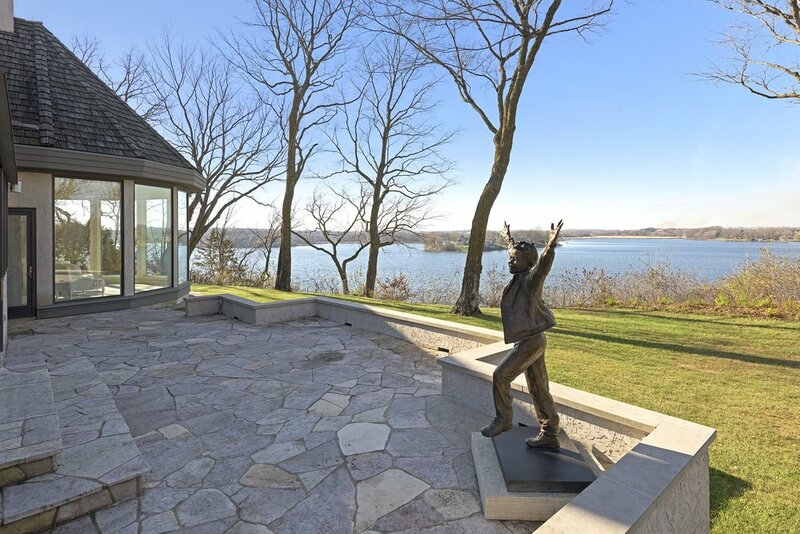 Stunning prime lakeshore property on historic Bracketts Point. Turnkey home designed and built to perfection. Over 300 feet of level lakeshore with huge lower lake views. Pool and pool house. 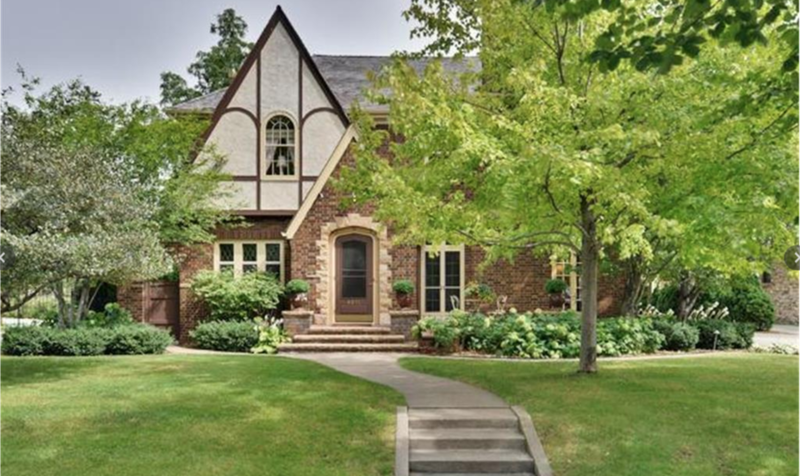 Glorious gardens, expansive grounds and easy access to Wayzata and downtown. Towering ceilings, clean lines, elevator, views from every room! Be prepared to be amazed. BUYER REP.
Luxurious French Country by Denali on hilltop setting with wetland views. Exquisite architectural detailing (shakes, stone, European wall plasters, tin ceilings, custom wood floors & cabinetry), theater room, sport court & English Pub. Lake Minnetonka Dock. Breathtaking newly built French Country Manor on private site. Exquisite custom finishes, generous room sizes, unparalleled master suite, stadium style theater, English Pub. Gorgeous landscaping, spectacular pool & exceptional location. 5 BED, 7 BATH, 10,732 SQ FT. Refined New England character, gracious estate setting & a delightful blend of formality & comfort. Generous flr plan, exquisite architectural detailing, sport court, theater rm, n'hood tennis & Luce Line Trail. Orono's premiere new development. Inspired by Hamptons architecture and carefully crafted by L Cramer Builders, this extraordinary 2 story features exquisite detailing with traditional timeless finishes and is perfectly perched on a picturesque 1.3 acre private setting within the Wild Meadows community. Sold pre-MLS. New construction on picture perfect gradual sloping site with 70' of south facing rip rap shoreline on A rated Cooks Bay. Designed by Ben Nelson & built by NIH Homes, this quintessential lakeshore home offers high level of finishes & gracious room sizes. Floor plan highlights main flr master, huge chef kitchen, 2 story great rm, sunken golf simulator rm, full bar, loft, office, screen porch, 4 car. Denali's 2006 Luxury Tour Home on a spectacular W/O cul-de-sac site with panoramic views of Lake Lucy. Exquisite architectural detailing (shakes,stone,European wall plasters,custom wood flrs & cabinetry), theater rm, sport ct, & upper lvl bonus rm. Quintessential Nantucket style new construction on 73' of prime, level, sandy, south-facing lakeshore! Perhaps best beachfront on Lake Minnetonka. Ben Nelson Design features main floor master suite, open kitchen/great room, 3 additional bedrooms, lower level with media wall, full bar and exercise room. High level of finishes throughout w ship lap walls, custom cabinetry, ceiling details, cedar shake siding, etc. Winter completion. Do not miss this exceptional waterfront opportunity. Premium 1.3 acre East facing lakeshore lot with panoramic views and gentle slope to 221 feet of sandy shoreline. This private property is worthy of a high end new construction, a remodel, or enjoy as is. Sail the entire lower lake right from your own dock. Stunning Tudor renovation carefully crafted to preserve its architectural heritage. Seamless addition w/ open kitchen/family rm, new master suite & LL media rm w/wine cellar & wet bar. Gorgeous English gardens. Simply spectacular. Exceptional offering on prime Lake Minnetonka main upper lake with 110 ft rip rap shoreline, perfect gradual slope and Grade A water quality. Spacious rambler with sweeping views from main rooms, fantastic screen porch, large bar, lakeside garage for water toys/snowmobiles and generous room sizes throughout. Wonderful neighbor setting on quiet cul-de-sac street and surrounded by upper bracket homes. Breathtaking Nantucket beach house on Lake Minnetonka w perfect sandy bottom & picturesque views. 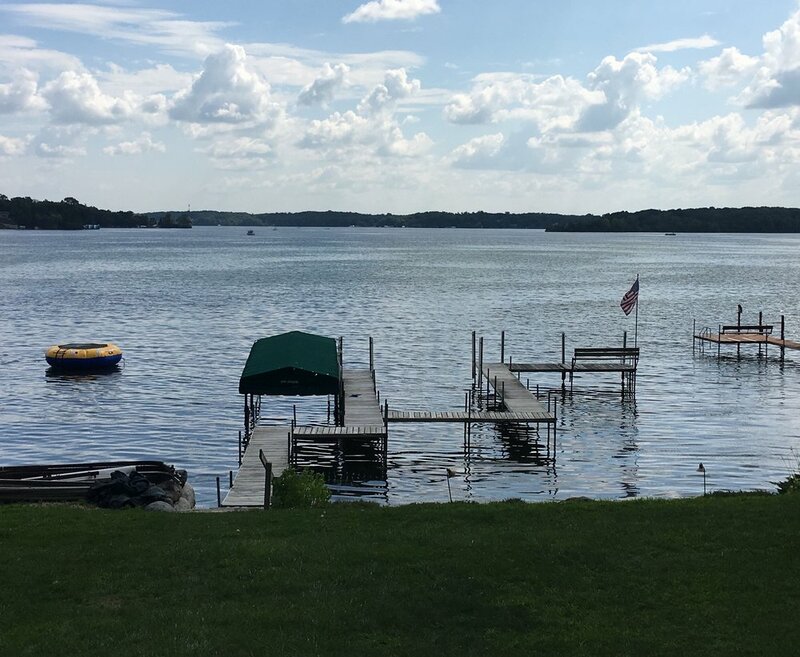 Located on Cooks Bay w exceptional water quality & wide open water ideal for lake activities. Wonderful open floor plan loaded w architectural details & newly finished WO LL w full bar, reclaimed barn wood media wall & billiards area. Gorgeous landscaping, lakeside level yard & brand new hill climber. Option to utilize city owned adjacent cart path for bringing coolers & people to lake (see video). Nestled in quiet enclave of elegant custom homes, this home epitomizes comfortable family living coupled with hospitable entertaining spaces & understated elegance. Custom built by Stonewood LLC on a private cul-de-sac site, highlights incl gourmet kitchen (Wolf, Sub Zero, Asco) + butlers pantry, outdoor fireplace/pizza oven, massive dark wood bar area with vintage wine display & GeoThermal HVAC. Perfect for the active lifestyle w salt water pool, n-hood tennis/outdoor skating & Luce Line Trail. Stunning new construction w/ 60’ sandy shoreline & panoramic lakeshore views. Gorgeous detailing w/ Black Walnut flrs, extensive built-ins, designer lighting, reclaimed materials, marble tiles, deluxe master bath. Serene setting w/ 8 acre park. Rare double lot new construction in Wayzata Village. Main floor master suite, luxury bath, vaulted great rm, gourmet kitchen, screen porch w/ fireplace, walkout LL w wet bar, optional bonus rm & bath. Walk to downtown, parks, trails & beach. Stunning Lake Minnetonka estate with panoramic westerly views & extensive architectural detailing. Masterfully crafted by award winning LCramer w transitional styling & expansive footprint w generous room sizes. Highlights incl grand salon,deluxe kitchen, support kitchen, wood paneled den, walls of glass, spa like master bath, hot tub/sauna rm, 4 car garage, gorgeous outdoor hardscapes. Perched on 1 acre wooded site w approx 113' shoreline in quiet n-hood setting. Adjacent site available. Spectacular French Country Manor w/125' sandy level shoreline on private 1 acre setting. Stunning architectural details w/formal & informal spaces, theater rm, full bar, large patios. Exceptional close in location on Maxwell Bay. Modern New England style on picturesque cul-de-sac wooded setting in O’Donnell Woods. Features gourmet kitchen, screen porch, sport court, sunken media area, gaming area, full bar, bonus rm & 4 car garage. NIH Homes newest model now completed in picturesque O’Donnell Woods. Perfectly situated on wooded cul-de-sac site, amenities incl sport court, screen porch, 4 car, sunken media rm, gourmet & aux kitch, 2 offices & designer finishes. Storybrook Wayzata cottage newer build with extraordinary architectural details, custom built-ins, great room with coffered ceilings, gourmet kitchen, maintenance free deck and gorgeous grounds on coveted Park Street. Walk to restaurants, shopping, lake Minnetonka, tennis and parks. Sold Pre-MLS.